Rich and powerful is the motto of the food truck Shiraz (= Syrah), which comes from vineyards in McLaren Vale (55%), Lower Murray (30%) and Fleurieu Peninsula. 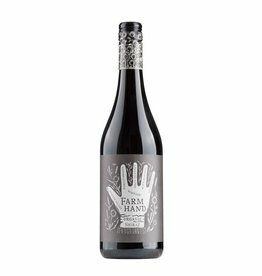 Ripe dark berries, plums and an intense woody note from the French oak barrels, in which the wine matured for 10 months. Powerful and spicy in the taste, but always opulent and round, the gentle tannins support the long-lasting finale of this splendid specimen of an Australian Shiraz. A very good value!